One of the best things about New York City is that it's extremely walkable. If you are attending one of the IIN Live Conferences this fall, or visiting NYC for the first time, you can see all that Manhattan has to offer without stepping foot in a cab or riding the subway. We compiled a list of exceptional walking tours in NYC that will lead you past several of the city's greatest landmarks and iconic locations. And the best part? They are all moderately priced or free! For delicious, healthy meal options, check out Integrative Nutrition's NYC Healthy Living Guide: Restaurants and NYC Healthy Living Guide: Food Trucks! The Highline Park is the Parks and Recreation Department at it’s finest. An abandon elevated train-track was repurposed into a park, complete with a walking path, several places to sit, people watch and eat as well as incredible architecture and landscaping to complement it all. From the Highline, you will see incredible views of The Meat Packing District, Chelsea, The Hudson River and even the Empire State Building in the distance. You can also take a seat right above 10th Avenue and watch the traffic go by through a panoramic window to the street. For a quick lunchtime jaunt or a lengthy walk, the West Side Highway is easily accessed from the Javits Center. You can pick it up right outside the front door and head north to pass the Intepid Battleship and head toward River Side Park on the Upper West Side. From there, you will have excellent views of the Hudson River, the famous Trump high rises and Midtown Manhattan. You can also choose to go south from the convention Center towards the Hudson River Park, where you will pass Chelsea Piers, The Meatpacking District and have an incredible view of downtown Manhattan. One walk for each day of the conference! This iconic bridge has a great pedestrian walkway that you can pick up right at city hall in downtown Manhattan. The length of the walk is about two miles, across and back, and provides one of the best views in the city. You will see the entire Manhttan skyline, The Manhattan Bridge, Statue of Liberty, Staten Island Ferry, and the Brooklyn skyline. Not to mention the bridge itself, which provides the perfect photo backdrop. 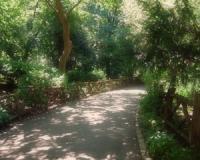 Central Park is the ultimate green oasis for city dwellers. Take a walk down the Mall and Literary Walk, an iconic staple in most romantic comedies, or catch a few rays on The Lawn. Of course you could also see the Castle at the Turtle Pond, Hike Threw the Bramble or pay your respects to The Beatles in Strawberry Fields. Whatever your needs, Central Park is sure to impress! 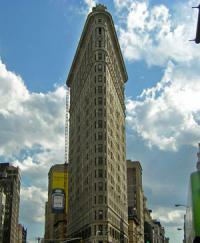 Midtown is the heart of Manhattan and 5th Avenue is in the center of all the action. Start your walk at the Flat Iron building on 23rd street, pass Madison Square Park, the Empire State Building, the New York Public Library, Rockefeller Center and end with the high-end 5th avenue shops, the Plaza Hotel and Central Park at 59th Street! Still in the mood to walk? Keep going North on 5th Avenue to check out Museum Mile between 82th and 104th Street, where you can stop in at The Met, The Guggenheim or the Jewish Museum to name few. Are you a music lover? 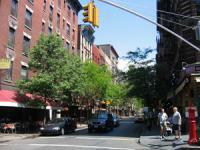 Check out where it all began on Bleecker Street in the West Village. Start your trek on 8th Avenue, heading East on Bleecker. You’ll pass several record stores, and if you’re feeling adventurous, head up a couple of blocks to 8th Street and check out Jimi Hendrix Electric Lady recording studio. But of course, if you’re not a music fan, Bleecker Street provides some excellent shopping and eating as well! Click on the swirls in our interactive map to find the locations on this list, or view a larger version of the map in Google Maps. Check out our Live Events Facebook page for all the latest details about our upcoming conference!